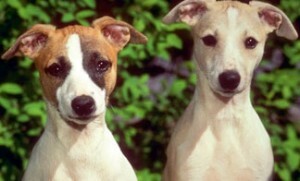 GMO or non GMO dog food – do you really care? If you still feed your dog from cans and bags, now is the time to sit up and take note because the clock is ticking and the outcome won’t be good. Not to sound overly dramatic but it’s critical you read this article and act on it for your dog’s sake because their future health is very much at stake. You see, in the US the corn based ingredients in pet food is closing in on being 75% made of genetically modified Organisms – GMO’s. Now while you are being lulled into a sense of complacency by the media, the truth is as your about to find out is that GM corn is anything but healthy. Independent studies have repeatedly shown that liver and kidney disease in rats fed GM corm is significant as well as affecting other vital organs. Our dog’s liver is large because it’s the primary cleaning organ of their body. The increasing rates of liver disease I’m contacted about by dog owners today are alarming. Back to those rats. 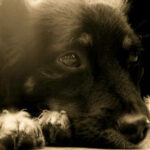 They not only got sick but got mammary tumors and died early – it was the females that were worst affected. 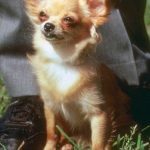 How GMO’s Affect Your Dog? If you’re thinking how GMO’s are going to affect your dog’s health, here’s some alarming feedback. GMO’s (genetically modified organisms) have been known to mutate and have proven unstable which means the control the scientists thought they had over these synthetic manmade organisms is simply nonexistent. They have released into our eco system a bug that cannot be controlled and cannot be put back in the bottle and every day the potential for disaster is rapidly growing. Independent animal feeding studies have concluded that the unexplained and abnormal inflammations and cell growths in the gastro intestinal tract, liver, kidney, heart, pancreas and brain are as a direct result of feeding GM foods. The highly toxic insecticidal agent Bacillus thuringingiensis is active in many GM crops and ends up in pet food. Independent health and nutrition experts are now connecting the rise in human health disorders with GMO organisms. The alarming rise in allergies, skin disorders and GI tract problems from eating GM dog foods combined with synthetic food additives is linked to GM soy and corn products. The herbicides Glufosinate and glyphosate used in products like Roundup made by Monsanto have now become the market leader in organism eradication. Millions of gallons of this herbicide are used daily around the world by unsuspecting gardeners and farmers alike. These poisons are absorbed into crops and your garden with the aim of killing certain weeds. WARNING: It may well say on the label that the contents do not affect pets or aquatic life but they do. It also states that the content breaks down easily into the ground, but this again is not true. I have seen with my own eyes the deadly affect this poison has on garden animals and it’s an indiscriminant killer. Glufosinate and glyphosate AKA Roundup cause terrible damage to sensitive animal organs on the land and in the water. It’s also linked to human birth defects, miscarriages, premature births and lymphoma. When Even Non GMO Dog Food Brands are Just Not Enough – Go Fresh! Do not use toxic herbicides and pesticides in your yard – ever! 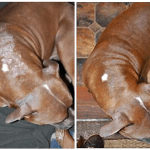 Your dog is in ever present danger of falling prey to health disorders from the absorption of these toxins. If you can afford it only feed organic or free range grass fed produce to your pet. Do not use the most heavily GMO related products that use corn and soy. And while dog food labels are most often misleading due to lack of clear regulation, if you can find pet foods that categorically state they do not use GMO ingredients then at least you can be clear on that point. I wholeheartedly recommend you feed your dog a fresh raw dog food based diet. Corn and soy products do not belong in your dog’s body and they are the basis of most commercial pet foods. They are not your dog’s natural diet and certainly not biologically appropriate food. If your dog has any allergies, skin disorders, gum and teeth problems, foul gas, gut or diarrhea problems it’s because of the diet you presently feed. 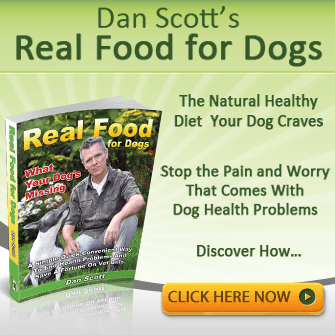 Get fresh food into your dogs system and health complaints start to fade away fast. Watch the short video below and find out how fresh food heals dog food allergies fast. When you have GMO’s, wheat, corn and soy based pet foods and their laundry list of often toxic additives while at the same time a highly unregulated pet food industry as a whole it’s any wonder our dogs suffer so many health complaints. Only by stepping up and taking some control over your dog’s diet can you be sure of better nutrition, a longer lifespan and all round better health and wellbeing. We as dog owners cannot rely on big agri, big pharma and big food to care about our dogs because they don’t. Rule No. 1 They are solely in the business of profit. If you want the best for your dog – don’t leave to the dog food companies – you gotta do it yourself and take control. Yes it means a little extra effort on your part but it’s worth it. Our dogs provide much value in our lives, even if we are not aware of it much of the time. And in return we should be providing some fresh nutrition in their diet, not the everyday fast food diet we un-knowingly think is ok to give them and GMO’s just make it that much worse, that much faster. 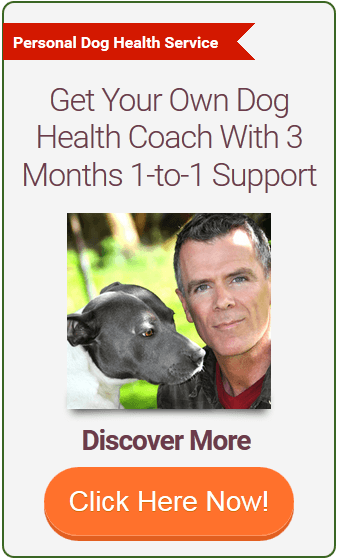 For more on feeding your dog a healthier diet for better health and wellbeing get my free report below. I just assumed that canned food was a completely safe kind of food for dogs and cats. I made this assumption because I figured since canned food can stay fresh with little or no preservatives. But it is apparent that all packaged foods have to have some preservatives, and after reading this article, I’ve come to the realization that it is worse than I thought. Hi Sonya, we all like to think that dog food manufacturers care on some level for dogs but the evidence provides us with a very different story. The bottom line is maximum profit for minimum spend – health does not come into it. I try to feed my dogs the best food possible and with all the warnings like this one coming out I have been leaning towards making their food myself. What is the best way to store homemade food for them though? I think I would have to store it in the refrigerator wouldn’t I so that it doesn’t spoil? How can you make a dry food that you can store out of the refrigerator? Well we have seen the statistics on what fast food does to us I can only imagine what it would do to a dog that is eating the same thing every day. You have pointed out some really fascinating things here and I hope that you will continue to do so in the future. Keep up the good work I am liking what I’m seeing. This is a great post and the more I can learn about what is good for them the more I can start making sure to fix them something that will make them fill good and have better health and possibly live longer. I want my pets to live as long as they possibly can so this is an easy way to get stated making sure they do. Thank you for the advice. Judith, make fresh raw dog food recipes like the ones I teach in my book. Simple to make, freeze for months, then defrost and serve. Don’t get me wrong, I love convenience too but your dog needs whole food for real health and it takes a bit more effort but not much more.